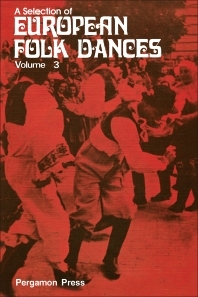 A Selection of European Folk Dances, Volume 3 presents the dance sequence and music for selected Folk Dances from various European countries. The book focuses on traditional folk dances from France, Germany, and Israel, as well as from Yugoslavia, Portugal, and Romania. Experts from the dance's country of origin are consulted to ensure that the instructions given in the book are precise. The music for the dances is recorded under the auspices of the Society for International Folk Dancing. Dance instructors, dancers, sociologists, and musicians will find this book informative and interesting.